Student campaigners have launched a new league table aiming to rank Cambridge colleges based on their treatment of their lowest paid employees. Calculated using figures obtained through Freedom of Information (FOI) Act requests, the table ranked Robinson College last, with 58.7% of non-academic or administrative staff at Robinson paid below £8.75 per hour. Data also revealed that two Cambridge colleges, Christ’s and Churchill, paid certain workers wages under £7 per hour, as of 15th August 2018. Both colleges claim they have since increased staff pay. This new table, coined the ‘Taylor’s Table’, is named after Professor Sedley Taylor, a former professor at Trinity College, who in 1907 offered £500 to Cambridge Borough Council to pay for a dental inspection for every child at a council-funded school. It was compiled by students Joe Cook and Abdullah Shah. According to the data revealed in the Taylor’s Table, as of 15th August 2018, 996 workers directly employed by Cambridge colleges were paid wages below the then-Real Living Wage of £8.75. Last February, the University committed to pay at least the Real Living Wage to all of its direct employees. However, this does not apply to the University’s 31 constituent colleges, which act as independent institutions. The Taylor’s Table forms part of a wider campaign to encourage all Cambridge Colleges to become officially accredited Living Wage employers. As of now, despite ongoing student campaigning, only Queens’ College is an officially accredited Living Wage employer. The Real Living Wage is independently calculated each year to meet the real cost of living. This figure currently stands at £9.00 outside of London, and £10.55 within London, but the Taylor’s Table was calculated using the value relevant to the period of data collection – last year’s real living wage – which stood at £8.75. This is higher than the National Living Wage, currently £7.83, which is the minimum wage to which all those over the age of 25 are legally entitled. According to data revealed in the ‘Taylor’s Table’, obtained through Freedom of Information requests, only eight of the University’s 31 constituent colleges paid all workers at least the 2018 Real Living Wage valuation of £8.75 per hour: Queens’, Trinity, Sidney Sussex, Selwyn, Murray Edwards, Newnham, St Edmunds and Emmanuel. It must be noted that the lowest wage on Emmanuel’s pay scale is £8.00, however, as of the date requested in the FOI requests, Emmanuel college did not at that time employ any casual workers, so all staff received hourly wages of at least £8.75. Two further colleges, Wolfson and Clare Hall, gave approximated figures, of “0-1%” and “0-5” workers respectively. The Taylor’s Table rankings were calculated from information regarding the wage practices of all 31 Cambridge colleges, correct as of 15th August 2018. Colleges were ranked on three indicators: the lowest hourly wage, the number of staff members paid under £8.75, and the percentage of staff paid under £8.75, excluding academic and administrative staff. Queen’s College, the only officially accredited Living Wage employer, ranked 1st on the Taylor’s Table, with a minimum wage of £9.08. Trinity came in second, with a minimum wage of £8.96, and Sidney Sussex followed, paying a minimum hourly rate £8.87. Robinson College ranked last. 58.7% of non-academic or administrative staff at Robinson were paid below £8.75 per hour, representing 128 employees. The College also had the joint-third lowest hourly wage, £7.38, equal to that of Clare and Magdalene. Varsity has reached out to Robinson College for comment. Only two colleges paid wages below £7 per hour. Christ’s and Churchill employed staff on £6.73 and £6.80 respectively, as of 15th August 2018. Both colleges, however, claim to have since increased staff pay. The Christ’s College bursar told Varsity that the current lowest hourly rate for staff at Christ’s is £8.50, noting that the college “reviews its rates of pay regularly”. This value, however, remains below the Real Living Wage valuation, which currently stands at £9 outside of London. A spokesperson for Churchill College said that, “in light” of the figures which will be revealed in the Taylor’s Table, Churchill “undertook a complete strategic review of employee pay scales last year”, affirming that “as of 1 October 2018 all Churchill College employees are paid above the minimum wage.” Once more, however, it must be noted that the minimum wage for those over 25, also referred to as the National Living Wage, remains below the Real Living Wage. Christ’s and Churchill rank 26th and 28th on the Taylor’s Table respectively. 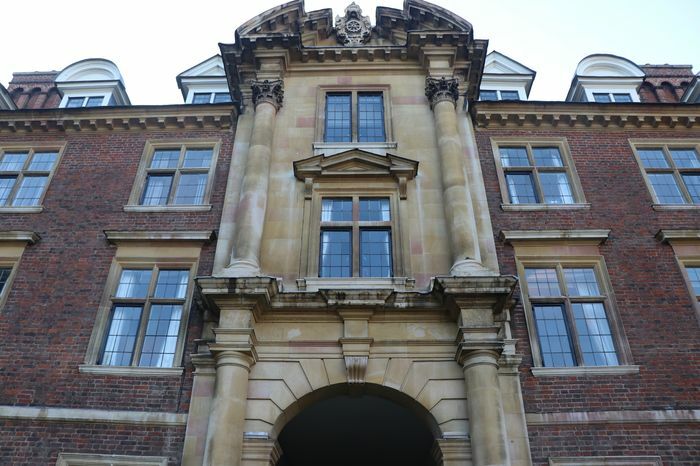 Magdalene College tied with Churchill at 28th on the Taylor’s Table, with 47% of non-academic or administrative staff paid below the Real Living Wage valuation of £8.75, as of 15th August 2018. The college also, along with Robinson and Clare, had the third lowest minimum hourly wage, of £7.38. However, responding to the Freedom of Information request made by the Taylor Table’s compilers, Magdalene said that they gave no cash benefits to their lowest paid workers. The creators of the Taylor’s Table said that “due to the complexities of comparing between colleges” it was decided that the benefits that colleges offer to their workers, in addition to wages, would not be included in the table, although this question was included in the initial Freedom of Information requests. Furthermore, many of these benefits do not apply to temporary staff, who are often the workers facing the greatest amount of financial insecurity. Trinity’s housing allowance, for example, is specified as applying only to “permanent staff”. The student campaigners behind the Taylor’s Table began work last July. The Taylor’s Table is the latest effort in the ongoing campaign to encourage Cambridge Colleges to become officially accredited Living Wage employers, following the example set by Queens’ College in 2014. Daniel Zeichner, Labour MP for Cambridge, emphasised the high cost of living in Cambridge, affirming his support for the ongoing Living Wage campaign.